In partnership with George, Peterken and with sponsorship support, we have commissioned a film about Lady Park Wood and our responses to be shown at the festival and other public events. Inspired by the success of a Kickstarter project last year in which Fiona McIntyre raised £10,000 and after a brain storming session with the ever positive fellow Arborealist Richard Bavin and Fiona decided to instigate the making of a short documentary film which would publicise this unique scientific and artistic collaboration in Lady Park Wood. Richard Bavin expertly co-ordinated two field trips with the artists in Lady Park and, as executive producer, Fiona was tasked with managing the film project from start to finish as well as raising funds to enable filming and editing. This included sponsorship from three sources: Forestry Commission, CAP.Co (with thanks to a kind introduction by Alex Egan) and Pegasus Art as well as generous contributions from artists and supportive individuals. Filming began in earnest on the 28th and 29th October 2017 with the help of assistant film maker and photographer Manuel Valcarce. This included insightful interviews with George Peterken and Tim Craven as well as all twelve of the participating artists and guest artist and botanist Susan Peterken. A variety of cameras gathered visual material of the woodland with close-ups of trees and drone footage from above the canopy and along the woodland floor. The sounds of the woodland were also recorded. The artists were filmed at work sketching, drawing and painting their responses to the environment. The Wye Valley Festival and exhibition at Monmouth Museum in 2018 will be a prime opportunity to play the film to the general public as well as being a permanent record of a unique collaboration. With environmental issues becoming urgent and with the help of science and art it is hoped that populations can be awakened to re-wilding projects such as Lady Park Wood which will significantly enrich our understanding of the symbiotic relationship of trees and habitat for generations to come. 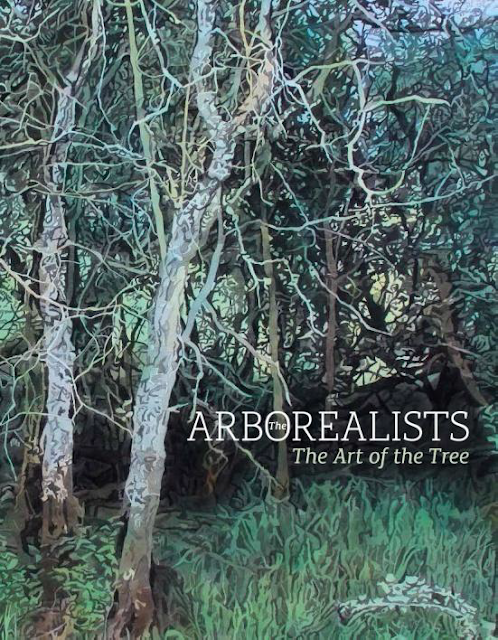 With the internet playing a greater role in communication this film will be a fantastic tool for us as Arborealists and for George Peterken and the Forestry Commission to reach a much wider and more international audience.